Institute of Energy Systems. L.A. Melentyeva (ISEM) of the Siberian Branch of the Russian Academy of Sciences, St. Petersburg Energy Advanced Training Institute (PEIPK) of the Ministry of Energy of the Russian Federation and Tashkent State Technical University (Tashkent State Technical University) hold the 91st regular meeting of the seminar from September 23 to September 27, 2019 on the topic "Methodical and practical problems of reliability of energy systems." 1. Actual problems of reliability of energy systems in a digitalized economy. 2. Digitalization of power engineering and transformation of problems of reliability of power systems. 3. Methods and means of ensuring the reliability of energy systems, taking into account the transformation of their properties when using innovative technologies. 4. 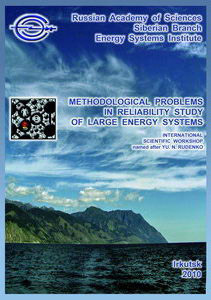 Interrelation of problems of reliability of power supply and quality of energy resources. 5. Information technologies and their role in solving the problems of reliability of intelligent energy systems. 6. Software and information support for the reliability of developing energy systems. 7. Problems of standardization of reliability of energy systems. To participate in the workshop, you must, before June 1, 2019, send (efimova@isem.irk.ru) the application and abstract of the report (5-7 sentences: UDC, title of the report, full name of the authors, name of the organization. Indicate what question you refer to your report). Thesis on the subject of the seminar is accepted for discussion. When registering, the speaker must have with them the printed reports (2 copies) and electronic copies of the reports in accordance with the requirements. The volume of reports should not exceed 10 pages. A multimedia projector will be provided for the demonstration materials. Reports presented at the seminar and peer-reviewed will be published in the form of a collection of seminar papers. The authors of the reports noted by the reviewers and the organizing bureau will be asked to prepare an article based on the report in one of the Russian VAK journals (Electricity, Power Plants, Energetic, Izvestia RAN. Energy, Energy Policy, Reliability and Safety of Energy) with the necessary revision of the text in accordance with the requirements of the journal. Articles recommended by the Organizing Bureau of the Seminar may be published in the English-language collection of works. Publication of the articles of this collection is assumed in the publishing system E3S Web of Conferences with quoting in the international system SCOPUS. E-mail: efimova@isem.irk.ru, Tel. : 8 (3952) 500-646, ext. 247. 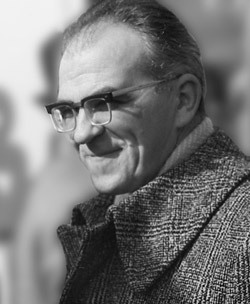 Yury Nikolaevich Rudenko – academician of the Russian Academy of Sciences (RAS), is an outstanding scientist in the energy field of the world significance, the founder of reliability theory in energy, a recognized leader of the scientific school in the field of reliability of energy systems, the author of more than 200 scientific works.